Are you amused by people who like to photograph their food before they eat it in public? Blame Millennials (also known as Generation Y.) 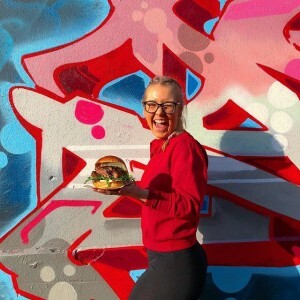 These days you can’t go to a coffee shop or restaurant without seeing people taking photos of their food to share on social media, all before they ever take the first bite! People love to share their dining experiences with their followers and friends. 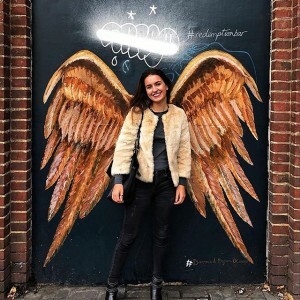 With more disposable income than ever before, the young Instagram generation are technologically savvy and highly connected. 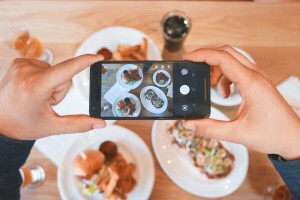 It’s now considered normal to take photos or do a Boomerang video of your food to share with the world no matter where you are. 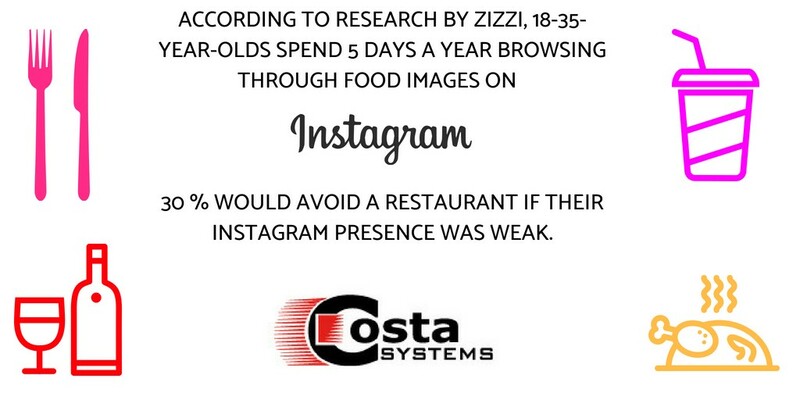 In fact, people now use Instagram to decide where to eat in the first place when doing their research online. 1. 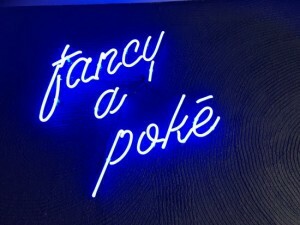 Invest in great signage – Klaw Poke on Capel Street in Dublin had a very tongue-in-cheek sign commissioned to promote the launch of their new Hawaiian pokē bowl cafe. 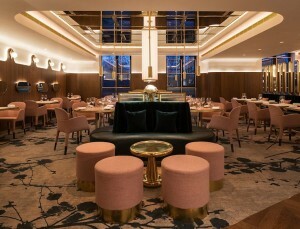 The Dean Hotel also has a neon sign by British artist Tracy Emin in the lobby, which is a real talking point for customers. 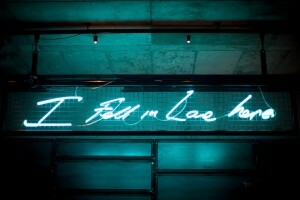 A funky neon sign is just made for sharing on social media and creates great brand awareness. 2. 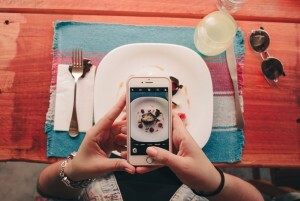 Create a social sharing hashtag and encourage diners to engage with it and share it. Make sure it’s on all your menus and across all your social media platforms. Having your hashtag on photo props encourages social sharing. 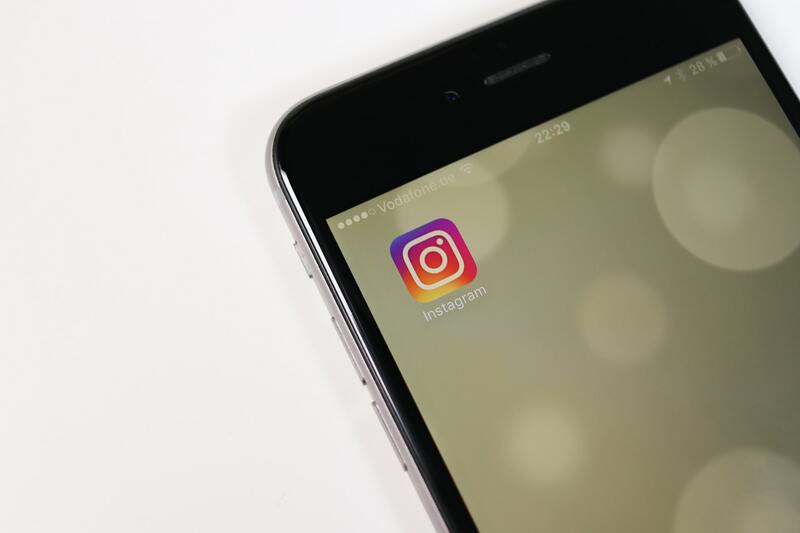 This makes it easier for you as a business to find great authentic user-generated content to repost on your main account. Did we mention that it’s totally free? User-generated content (or UGC as its known) gets 4 X higher click-through rates than traditional marketing. It creates a high level of trust too. 93% of consumers find UGC helpful when making a purchasing decision. 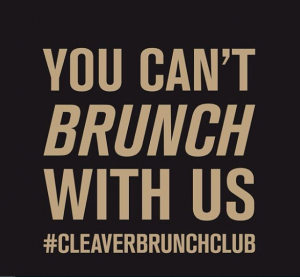 Cleaver East in Templebar uses their own hashtag #Cleaverbrunchclub to entice a people to interact with them. 3. Create a unique signature dish – to stand out in a crowded market. To be Instagram-worthy, they need to be dishes that lend themselves to being photographed. 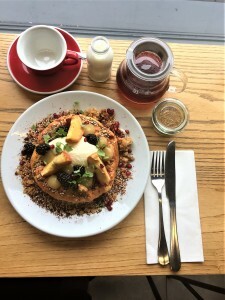 Two Boys Brew in Dublin is known for their unique dish of Summer Fruit Ricotta Hotcake with berries, mango & mint salsa, lemon curd, vanilla mousse, sweet dukkah, milk crumb & lemon balm. You can be absolutely sure this dish is not available anywhere else so the likelihood of people coming here for this signature dish is pretty high. 4. Commission a feature mural wall inside or even outside your restaurant. It’s a great way of showcasing local talent in the community. 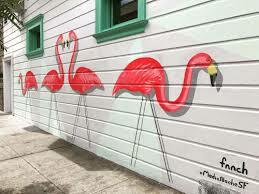 Street art can create a hip, buzzy vibe and will encourage lots of photo taking and free publicity for your business. Take The Fat Fox Cafe on Camden Street as an example. There are lots of street art murals near the cafe, which they use to add colour to their Instagram feed. It totally works! 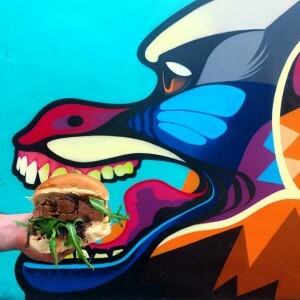 Redemption in London is another restaurant using eye-catching murals to create brand awareness. 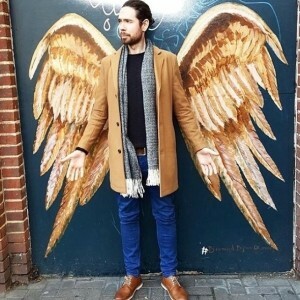 People come to their restaurant just to have their photo taken in front of the angel wings. 5. Make it irresistible to photographers – Take a leaf out of Glovers Alley or The Pot Bellied Pig. Both of these restaurants have interiors that are just crying out to be photographed. Pot Bellied Pig is an Instagrammers dream! 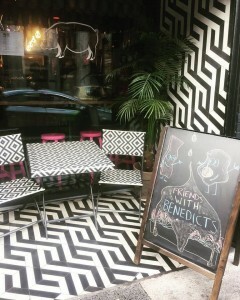 The funky floor tiles and bright pink colours are a perfect match for Instagram. 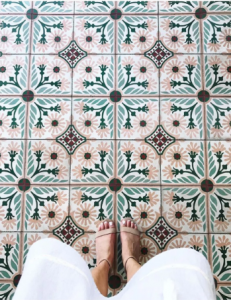 Did you know there’s even a popular hashtag for floor pics on Instagram #Ihavethisthingwithfloors (709,000 posts at last count) so floor tiles are a great way of adding colour on a budget. Finally, we couldn’t help but take inspiration from Cuban Restaurant Media Noche in San Francisco. They are known for their pink, intricate floor tiles which people love to photograph and share. 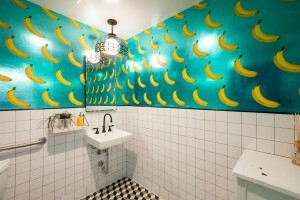 They also have funky banana print wallpaper in the bathrooms and a flamingo mural on their outside wall, altogether a winning combination. We know hospitality and we understand the various challenges that business owners face. 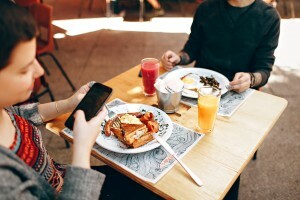 Hopefully, this blog will give you some inspiration when it comes to how to maximise the appeal of your cafe or restaurant for Instagram. If you are looking for a sleek and stylish Epos system for your business, give us a call today on 1890 200 925.